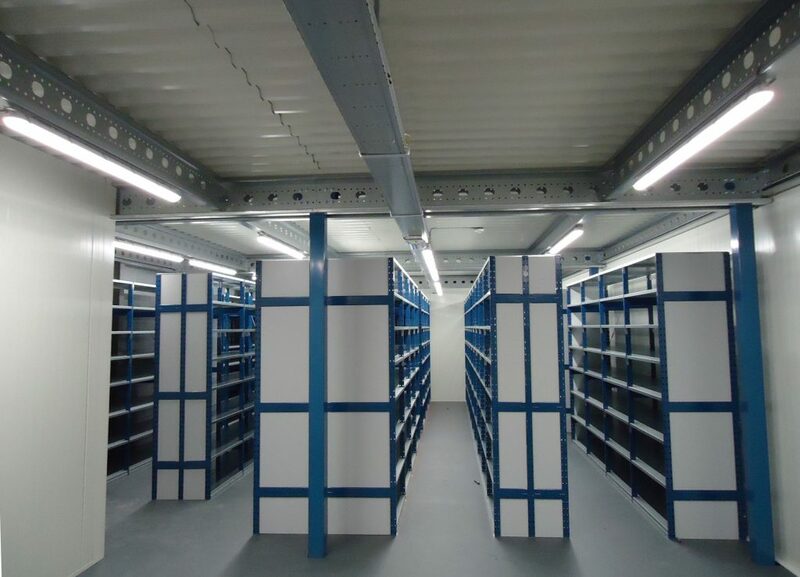 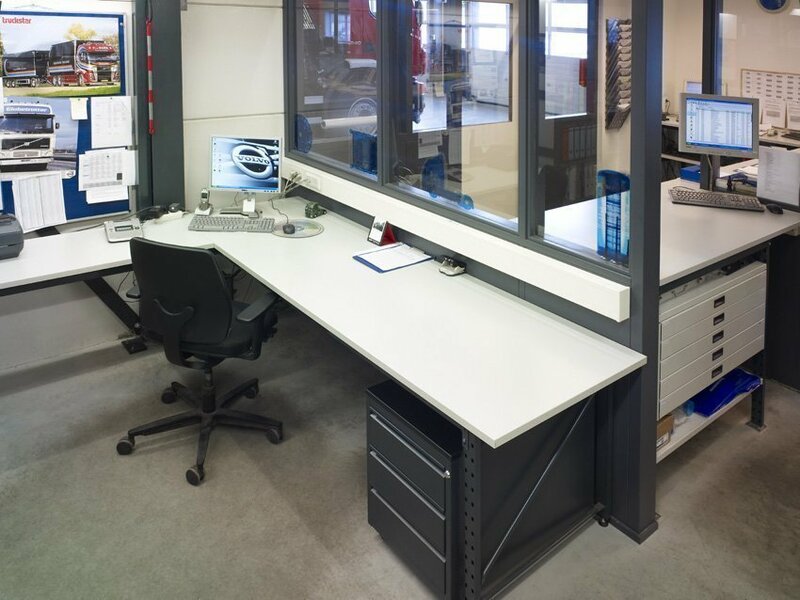 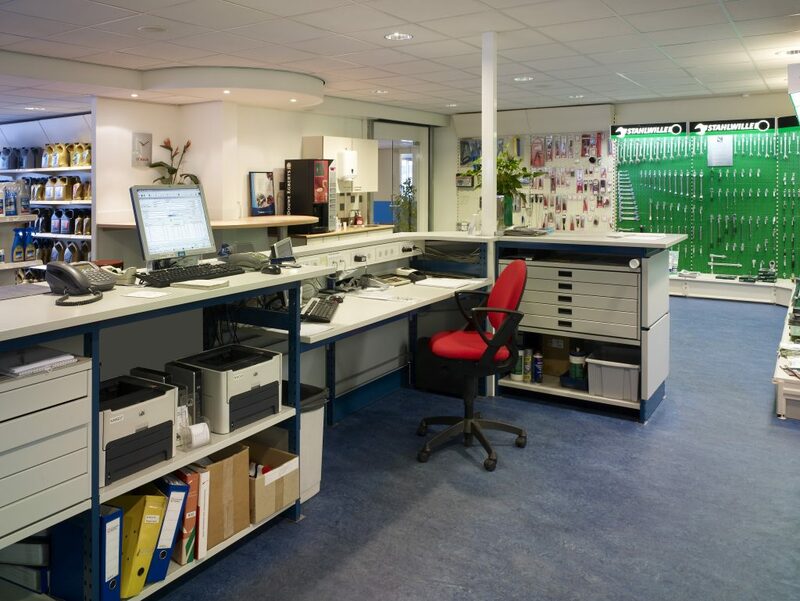 Apart from storage equipment, Europe Racking also offers you a range of desks made from our own long span shelving system. 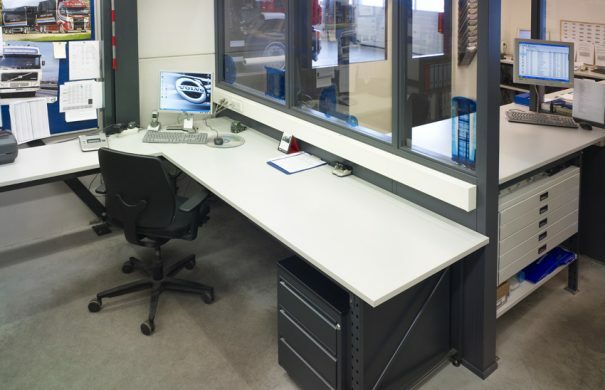 The desks are tailor made and can therefore be adjusted to the required size and set-up. 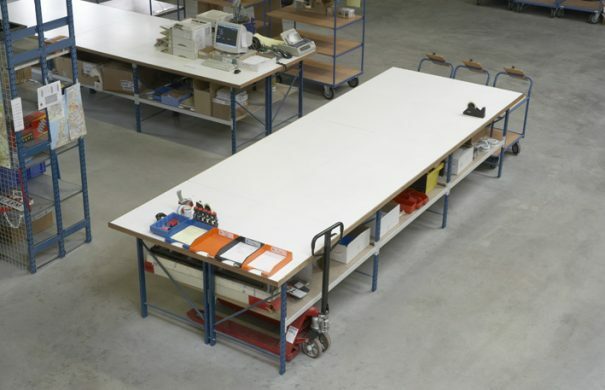 All the aforementioned sizes are examples of what is possible. 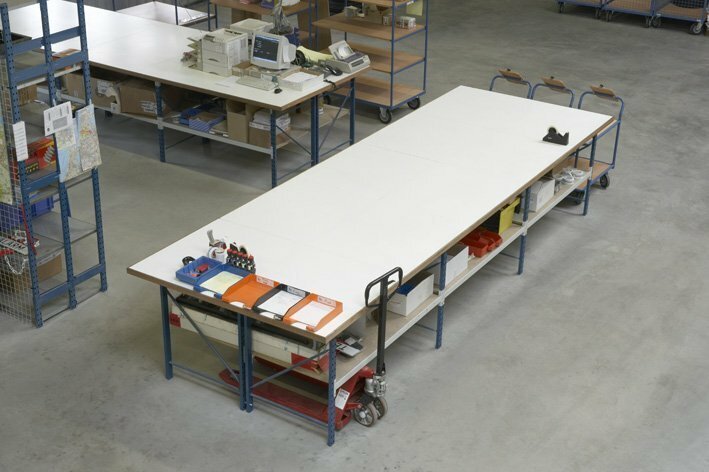 Other sizes and lay outs are available on request. 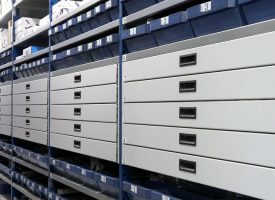 Feel free to contact us, and we will gladly help you find the perfect storage and working solution for your office. 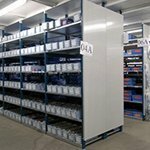 The storage cabinets are made from our Multisystem shelving, It has a industrial look and feel and is very stable and practical to use. 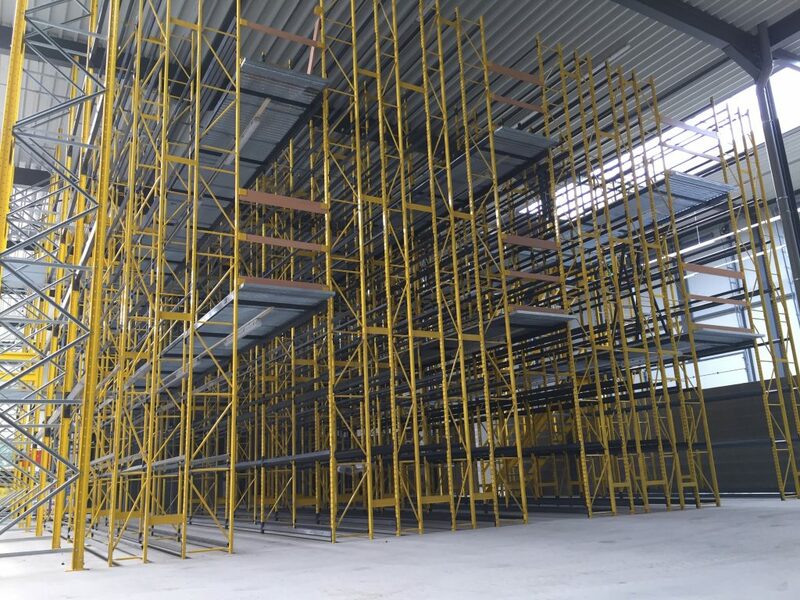 It sets up quickly, and it is very simple to make changes to the shelf lay-out, even when it is allready installed. 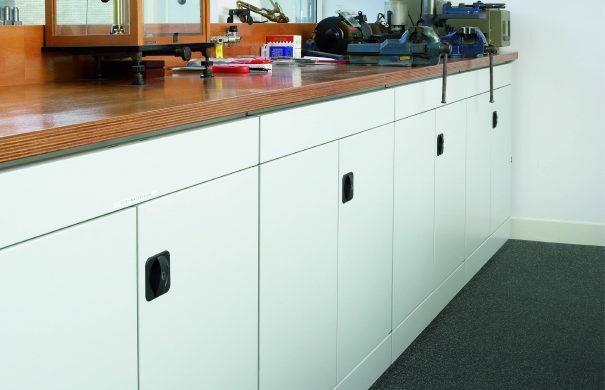 The cabinet comes with steel shelves and lockable doors. 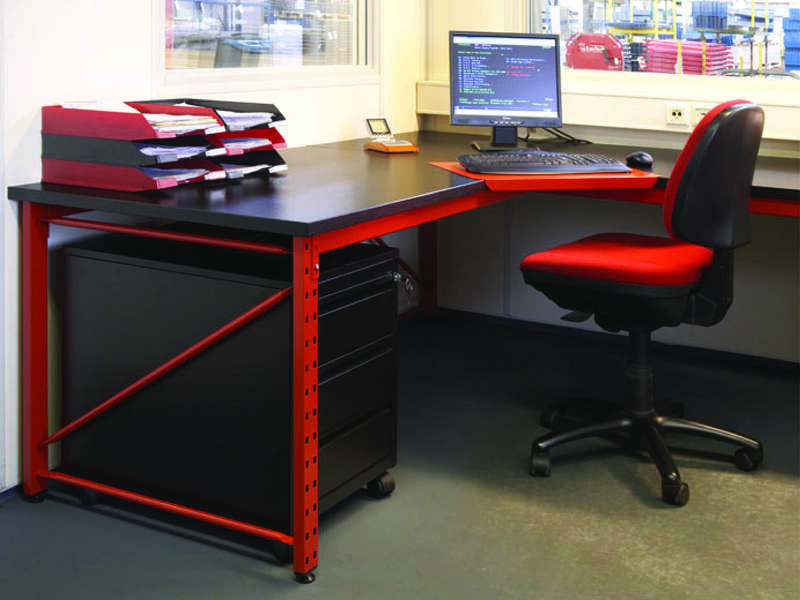 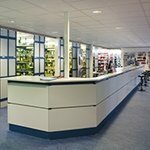 Europe Racking can supply you with everything needed to complement your office. 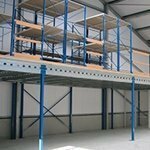 Apart from desks and storage cabinets we can also use the same shelving system to make conference tables. 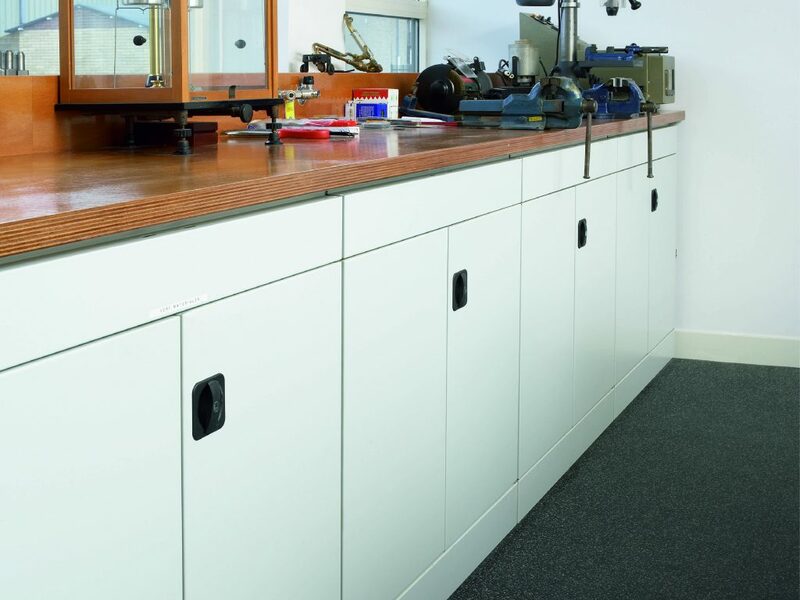 All of our storage cabinets can be fitted with drawers, dividers, and plastic bins for storing your office supplies. 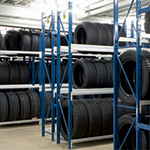 For more information please visit our accessories page. 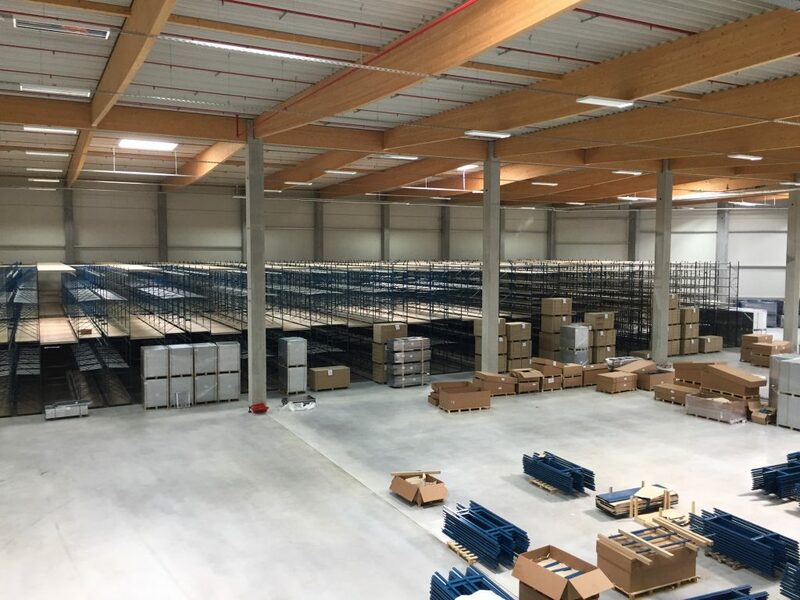 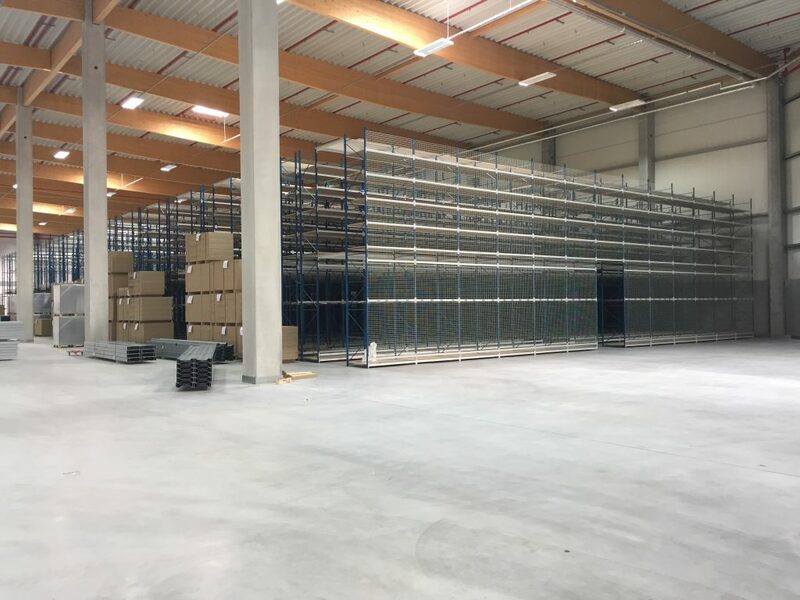 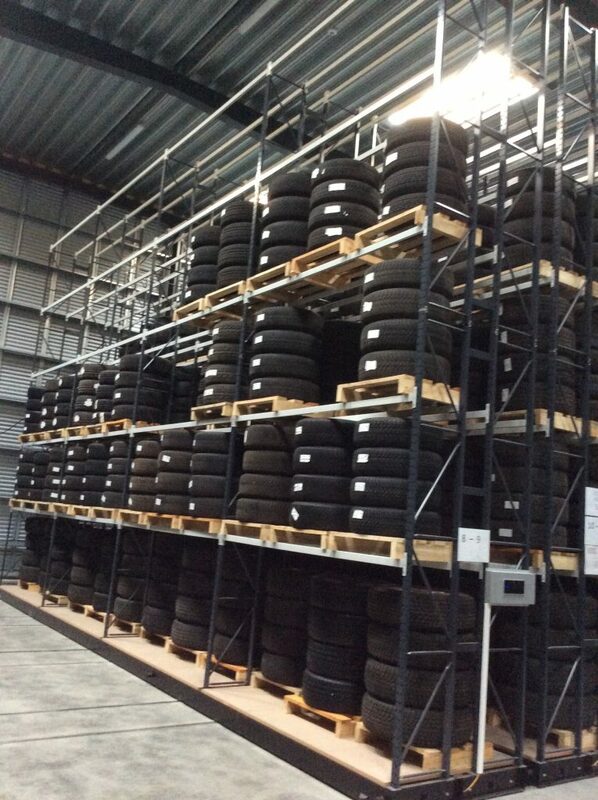 Customized mobile tyre racking project in Odense, Denmark.